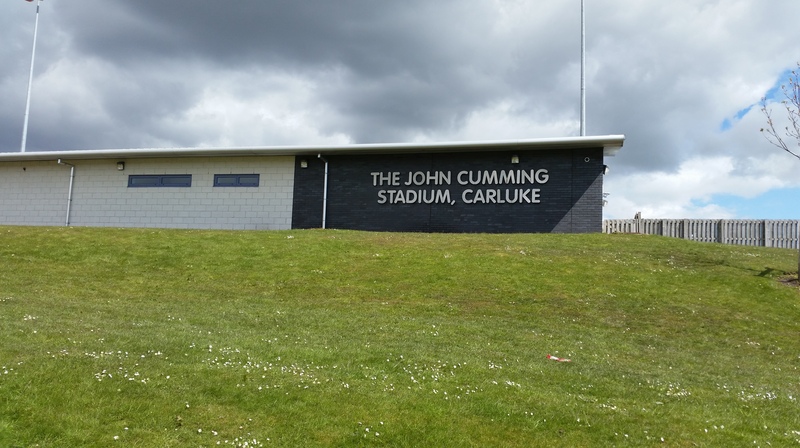 My apologies to the good folk at Carluke Rovers, I should have done this two weeks ago but as my fellow supporters of junior football know at this time of the season free time comes with an even greater premium as clubs play 2,3 or even 4 games a week! 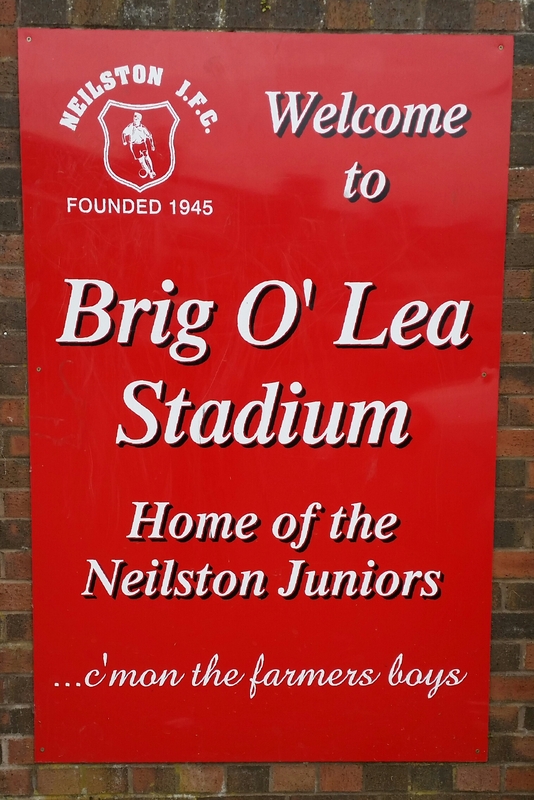 It can be a bit of a slog for players, managers and supporters alike as you jump from town to town in the mad dash to get the season wrapped up before the summer really comes. Whilst arguments cold be made about summer football and artificial pitched in truth the junior calendar doesn’t really help itself to begin with as cup after cup are played until even wee Jimmy the groundskeeper has won a trophy too. In some way’s I understand it; the Sectional League Cup give fans guaranteed derbies whilst bigger clubs get to boost the coffers of their less fortunate neighbours every second season whilst the Central League Cup at the end of the season gives teams with not much to play for some meaningful fixtures to get their teeth into. At the same time though what is the need for a cup where the exact same participants take part in it twice, all be it with slightly altered formats. I’m coming at this from a Glasgow based perspective but I know that the same problem abides both west and east of the place I call home. As you may have gathered by now I’m not one to turn down a game of football but even I, as an individual who breaks out in a cold sweat at the thought of a Saturday afternoon in Homebase, think something needs to be done to jazz up these perceived ‘diddy’ cups. 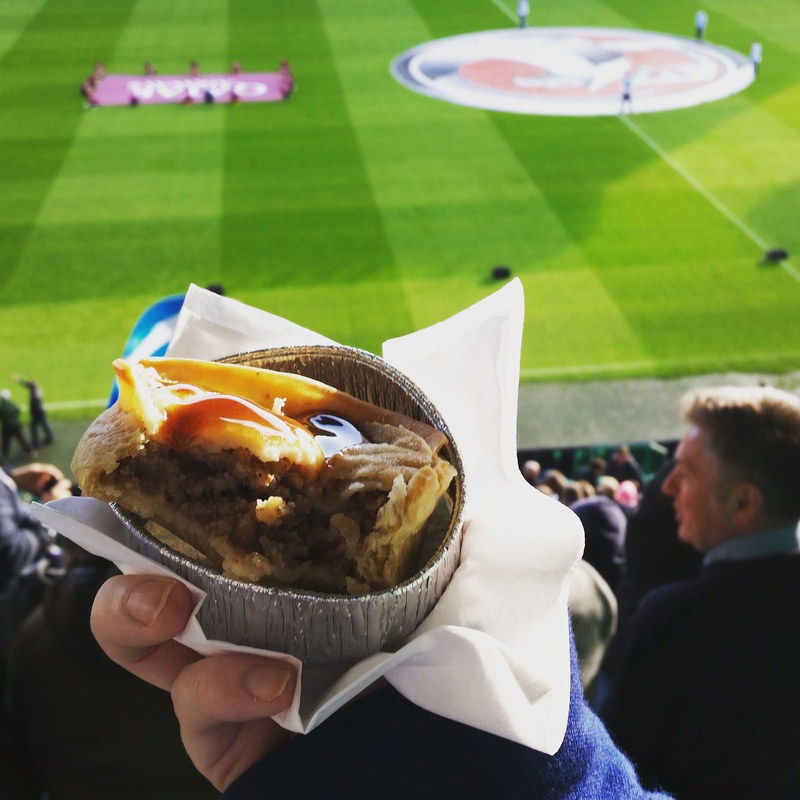 With all that being said, and to stick to my wholly contrary roots, today’s pie review comes from one of them and the Central League Cup 2nd Round, so without much further ado let’s rate some pie! 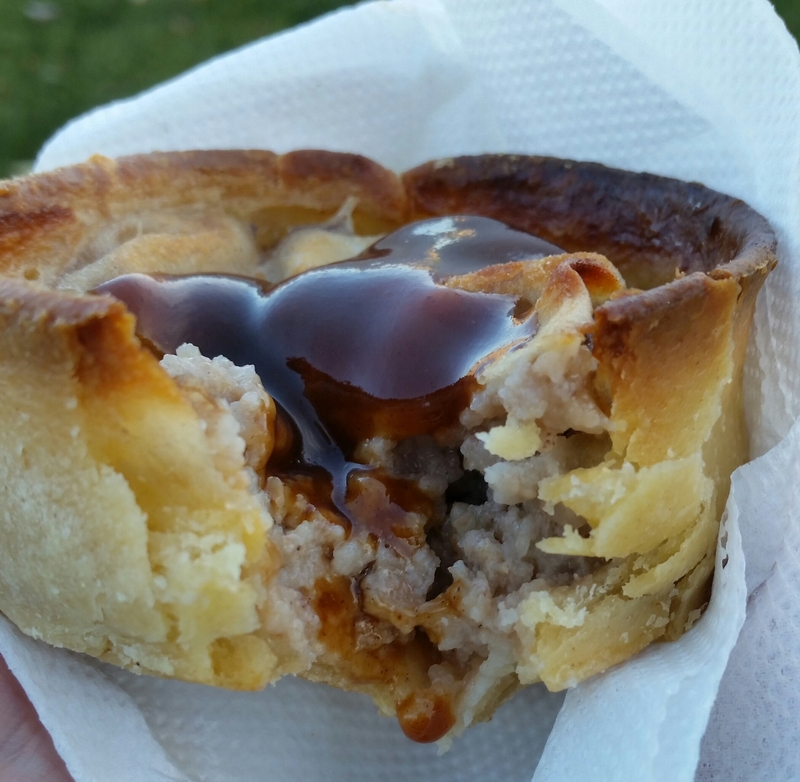 Price: At £1.20 this pie was bang on message with the rest of junior football as a whole although it would be fair to say that it was perhaps a littler more expensive when compared to some of their previously visited divisional rivals. Presentation: Medium sized white napkin that was bigger than the circumference of the pastry that sat on it. It’s all you need really. Meatiness: This was a substantially sized meat filled treat with coarsely ground mutton populating nearly every cavity of its pastry tomb. The meat was well-flavoured and if ever I was to describe mince as succulent this would be it. That said, with succulency (pretty sure I’ve just made up a word) comes grease and in this case the dreaded drip test very nearly put paid to a new pair of trainers. Luckily my time spent in St. Petersburg as Galloping Horse #2 in the Russian National Ballet production of Calamity Jane meant I tip toed my way around the fatty splashes trouble free. Grease never harms the flavour unless it’s excessive but it does make eating it that little bit more treacherous. Pastry: The pastry was well-baked and sturdy enough to support this fairly moist pie. There was a little rim of boil out on the top but the base was near perfect in its cooking. To be honest not a lot to say here as it was a solid, if unspectacular, effort all round. Brown Sauce: The bottle had all the hallmarks of being found in a popular high street frozen food chain, that doesn’t mean it wasn’t good though. Zingy, spicy and fruity like a good brown sauce should be. Overall: Nice flavoursome meat, solid pastry and a decent brown sauce makes this a good effort. A little less grease and you’re on to a winner. 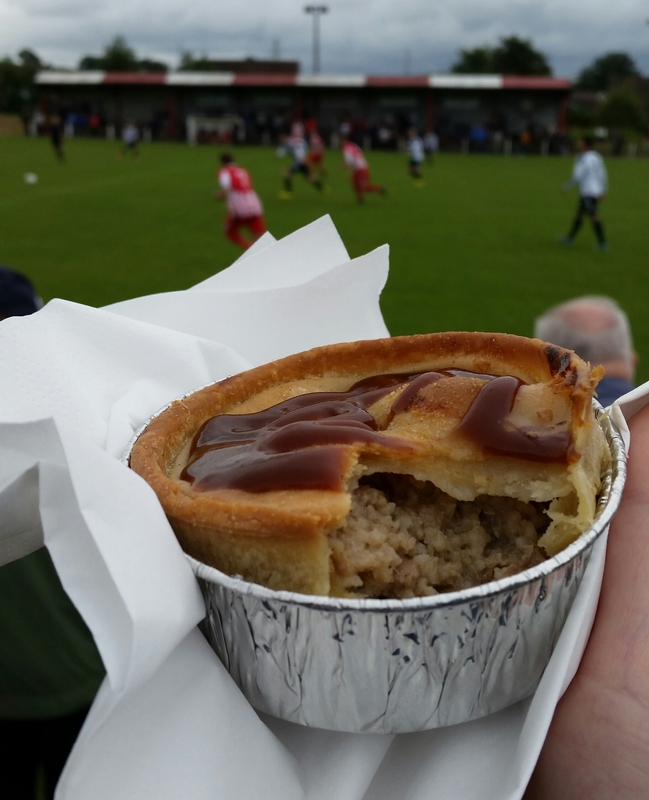 This is the first of an unintended double-header from Carluke as their Chicken Curry Pie gets ready to go under the Piecroscope. 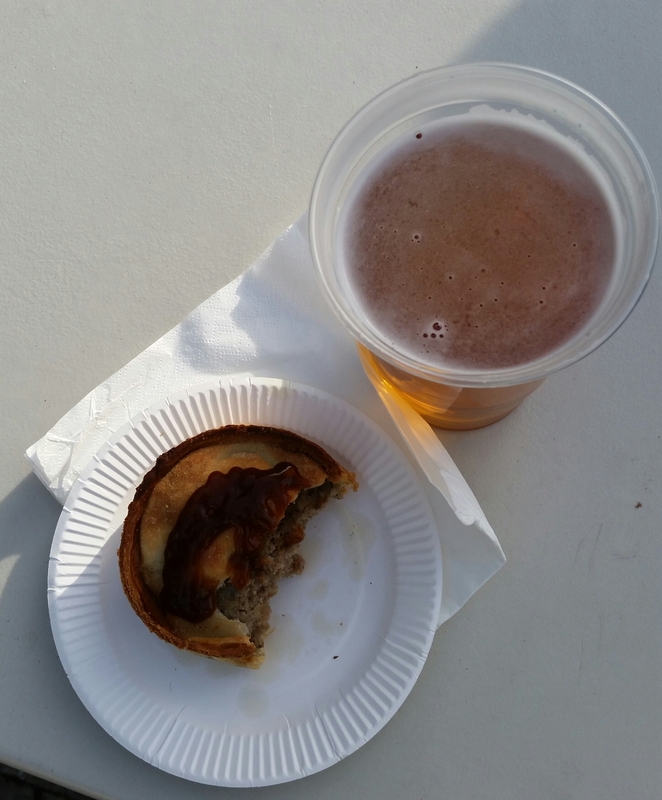 This entry was posted in Football Pies, Junior Pies, Non League Pies, Sporting Pies, The Life of Pie and tagged ballet, brown sauce, carluke rovers, central league cup, Football, Gravy, Juniors, Meat, meatfilledpastries, mince, mutton, pastry, Pie, pollok, scotch pie. Hello pie fans. You hardy bunch of pastry connoisseurs and all around good eggs welcome to another rip-roaring edition of Meat Filled Pastries as we start to wind down towards the season end. You know what’s mental? It’s April and fixtures in the Junior calendar are still being wiped out by wind, rain, snow and abandoned tractors! 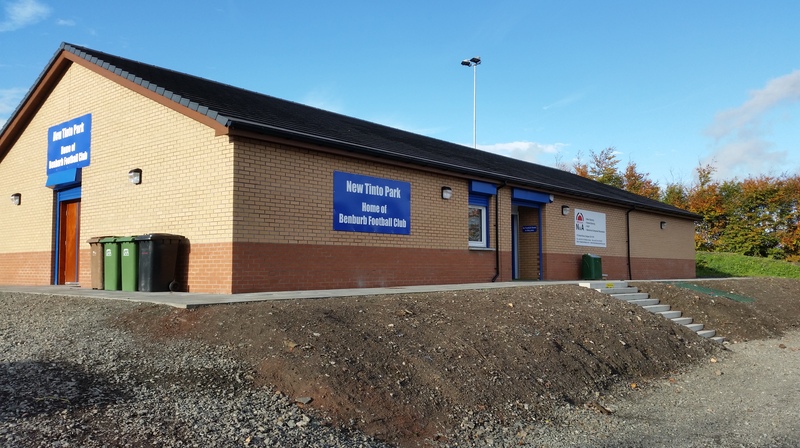 You heard me right, if rumours are to believed along with the waterlogged pitch a tractor had found itself stranded on Hurlford United’s Blair Park pitch. I’ve yet to see any factual evidence to support this rationale for calling off a game a full day in advance but as a reasons go it’s pretty spectacular. With that call off though I found myself with an unexpected fixture headache. 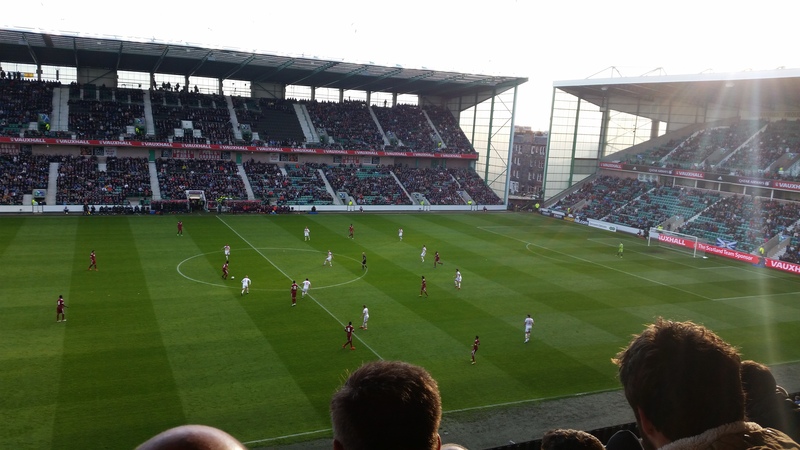 Luckily at this time of year an important game is never too far away although the fact that I ended up in Perth an hour and a half away from where my journey started would suggest something to the contrary. Yes it was a crucial promotion clash in the battle to reach the East Region Supoerleague but the true siren song for this match was the two participants. 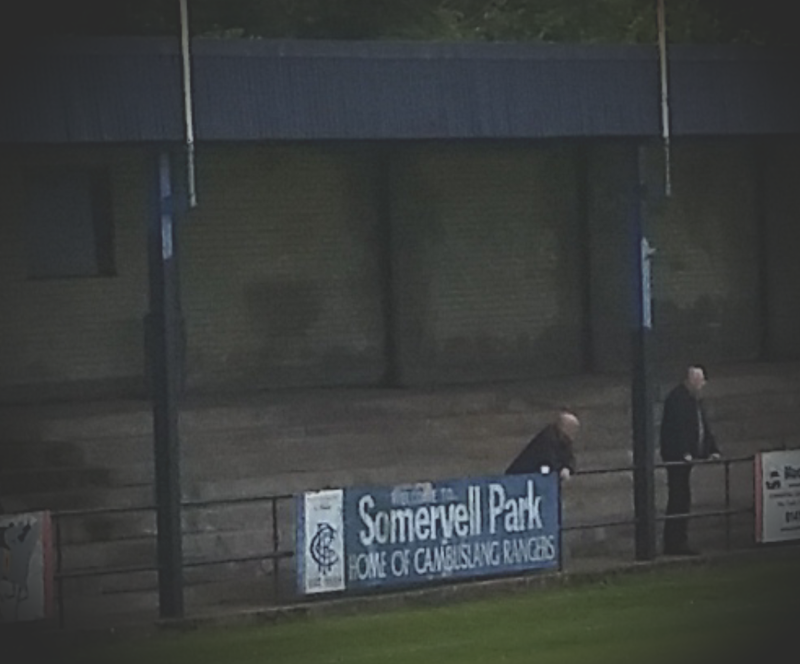 Jeanfield Swifts and Dundonald Bluebell. I mean doesn’t it just sound like the kind of game that Thomas, Annie & Clarabell would chug by whilst wandering about the branch line on the Island of Sodor? The guard waving his flag from his brake van as a penalty goes skywards, the ball landing on Thomas’ funnel resting for only a second before he wheeshes it away in a puff of smoke and steam. 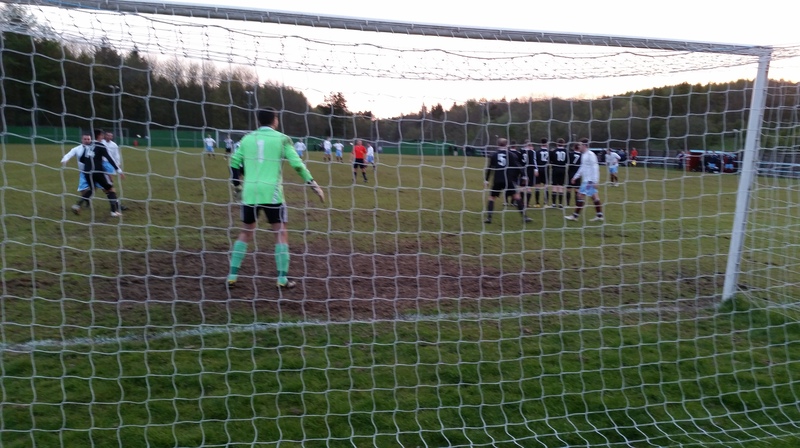 The ball rolling into the opposing net as Tommy disappears into the distance giving it the maximum Alan Shearer finger point salute as he goes peep-peep-peep! No?..Just me?..I haven’t taken this too far have I?.. Oh, I have?..ehm OK, you’re probably right so without much further ado, and with that image of a chugging Thomas the Tank Engine in your head (don’t lie, you all went there), let’s rate some pie! Price: In an unexpected turn of events you couldn’t purchase a scotch pie. Instead you were left with the option of a mince round (that was huge) or a Steak and Gravy Pie (also very substantial). In the end I went fancy and plumped for steak parting with £1.80 for it’s meaty pleasure. Presentation: Unusually no silver foil container instead just a medium-sized white napkin big enough to protect the hand from scalding. Meatiness: A generous cascade of meat and gravy came washing down my gullet as I took my first bite into this toasty treat. There was buckets of tender steak here cut up in to mouth friendly bite size pieces. The meat wrapped in a gravy of a consistency that allowed it to ooze just a little without gushing all over your chin. It was absolutely boiling but it was also very tasty, the heat meaning I could savour every morsel over what felt like hours. Pastry: Crisp and golden multi-layered puff pastry top. Just the right amount to stay crisp on top but have some soggy gravy tinged layers underneath. The sides were a little broken and perhaps slightly thicker than I was used to but in all honesty had zero detriment to the overall piey flavour. Brown Sauce: Do we put brown sauce on luxury pies down at MFP HQ. No we do not. Moving on. Overall: Generously sized with tender meat, unctuous gravy and a well layered puff pastry, the only slight flaw being a crack in one of the pastry walls. Overall though, delightful. Gravy Factor: A tasty everlasting gobstopper of a pie. (Seriously I’m surprised I’m not still eating it!). Once again I go into the unknown as with a stacked fixture card and familiar foes on the pierizon my next pie based report may be a while, but fear not as there will be one and lo, it will be good. This entry was posted in Football Pies, Junior Pies, Non League Pies, Sporting Pies, The Life of Pie and tagged dundonald bluebell, east, fitbaw, Football, Gravy, jeanfield swifts, Juniors, Meat, meat filled pastries, mince, pastry, perth, Pie, steak, the fat controller, thoams the tank engine. I’m still powering through the Spanish classes at the moment so I’ve not had much time to let my meander too much but one thing I’ve still had time for is my football. Prior to this week’s match our group of merry men had set up camp in the local bowling club. Whilst supping a pre-match pint our conversation was halted by the unexpected sound of an elderly man gleefully ringing a bell. It soon became apparent that the bell signalled the all important announcement of the pairings for that afternoons bowling session and so with the mystery solved we resumed our conversations, primarily focusing on how white all the participating bowlers jackets were only to be again interrupted. This time by a lady of later years who I can only assume took great pleasure in very sternly shushing our collective more aggressively than any person has done anything in their life ever. It was both comical and frightening but nonetheless effective as it brought instance silence and a clear understanding that you should never EVER mess with an old dear when it comes to her bowls. Needless to say 20 minutes later, and feeling like a group of naughty school children, we had finished our pints and it was off to the match we went. Price: At £1.20 this is a return to the average pricing of the 2014/15 season so nothing to really grumble about with that. Presentation: Presented within an aluminium foil container (somewhat of a rarity at junior level) and with a medium-sized white napkin of sufficient size to prevent the foil melting into your hand and forming some kind of half man half meat robotic mandible that would protrude from the end of your arm. Meatiness: This pie was huge and it was with some great relief that when I bit inside the pastry was not just a hollow shell but bursting to the seams with meaty goodness. The filling was sweet and spicy however the pepper kick wasn’t prevalent until the very end of consumption at which point there was some linger. Although the first bite was a little greasy, leaving that slightly unpleasant film on the lips that grease often does, the quality of this pie filling grew the further I munched my way through. There were some rumblings from others that I was being blinded by the (unusual for the juniors) ‘fancy’ tin foil casing but as an experienced pie connoisseur I can assure you that this was not the case, after a sluggish start on my palate this filling was very tasty indeed. Pastry: The pastry was golden and crisp all round and did not fall victim to the soggy bottom that often befalls a tin foil encased pastry. It did become a little flimsy as you ate through but this can be attributed to the vastness of meat within and as such required one of my patented pie juggling techniques to consume successfully without spillage. The pastry was perhaps a little salty but other than that as pastry goes it was pretty sound. Brown Sauce: HP in a squeezy bottle. How it should be at a football ground. Overall: A big hunk of spicy sweet meat in a well-baked and sturdy pastry case that matured in flavour with every bite I took. Gravy Factor: A hunk a hunk a tasty gravy! Next time out will be a review from Ibrox and Meat Filled Pastries first ever ‘Seasonal’ Pie but until then go forth and eat pie! 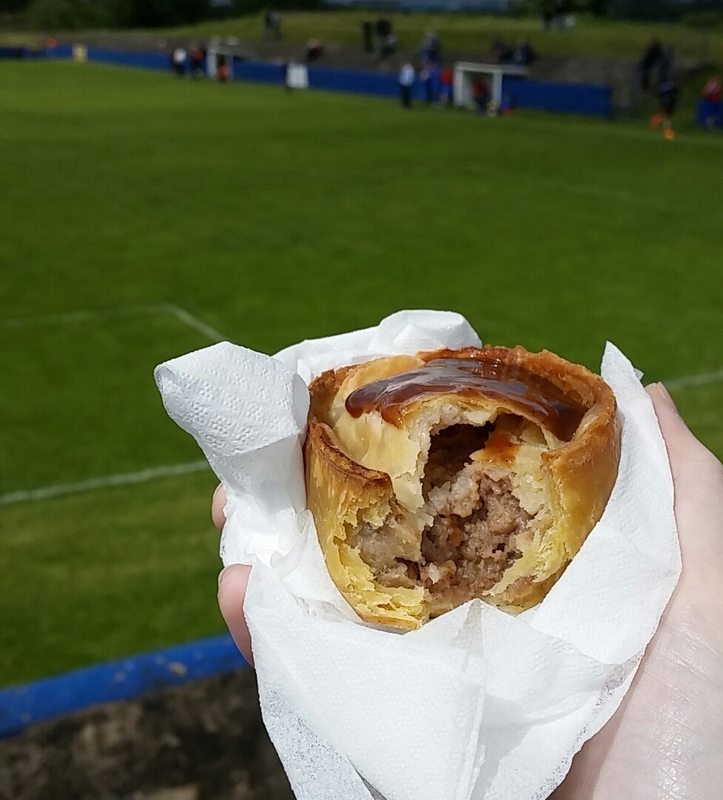 This entry was posted in Football Pies, Junior Pies, Non League Pies, Sporting Pies, The Life of Pie and tagged bowls, brown sauce, fitbaw, Football, Gravy, ibrox, Juniors, Meat, meat filled pastries, mince, neilston, pastry, pollok, rangers. Meat Filled Pastries is back! Now I know last time out (after reaching the magical ton) I said that I was retiring from the pie reviewing game so that I could focus on writing a book. I had become a little jaded and felt like the time spent on the website and its associated projects was stopping me pursuing some other interests. However after a month without the pressure of pie and a bit of better planning on my part this year I find myself rejuvenated and once more ready to bring you the best sporting pies around. I also started coming round to the idea that keeping the website going will actually help in putting the book together, giving an underlying theme to the story so far. It means it may take a bit longer than planned, but by putting in a long-term strategy I hope it’s going to turn out to be a good wee read. The pre-ambles this season will be replaced by excerpts/updates on the book, a promotion ahead of time kind of deal plus should help keep me in check when it comes to actually finishing it. So without much further ado, and for the first time this season, let’s rate some pie! Price: It may be a new season but it’s nice to see that you can still get a meat filled treat in exchange for a solitary golden nugget. £1 for a hot lunch is a bargain no matter where you go. Presentation: Continuing the renaissance theme, this pie was presented on a medium-sized white napkin with the added bonus of a second layer. I imagine this was a deliberate ploy by the purveyor of pie to help protect your (and his) hands from a pastry fresh from the oven. It just felt so right to have a pie in my hand once again. Meatiness: This was a very moist pie, at first when I held it I was concerned it was going to be swimming in grease but thankfully that wasn’t the case. It had a sweet after taste that usually indicates a pie with a high onion content, although that wasn’t visibly present, and on this occasion there was no kick of pepper. The texture was a little disappointing as the filling quickly turned to mush once it had entered your mouth as opposed to holding together for a little while. Take some of the moisture out the centre and you have a decent little filling here. Pastry: This is where I felt the pie let itself down a bit. On the face of it things were very good. It had nicely golden crispy top edges and the base was well cooked and remained intact throughout. The problem, oddly, was the sides where small patches of perfectly smooth and hard pastry were to be found leaving a weird feeling on your tongue. The best comparison I could give was that of an uncooked pork rind, it’s a shame as the rest of pastry was very good. Brown Sauce: Tangy and Sweet. I recognised the large unbranded cylindrical bottle almost instantly as one of those often found in high street frozen food stores. Did the job. (Note: I don’t know if I’ll keep this section going forward, it’s a pretty hard thing to right about creatively). Overall: Very moist, quite sweet with a well-baked pastry in parts. The texture though was a little bit odd both inside and out. Gravy Factor: Whisk out the lumps from that thickening agent for a little bit longer and you could be on to something good. S0 there we go. 101. I have no real targets from here on in other than getting the book done anything else that comes my way I’ll be sure to let you know. 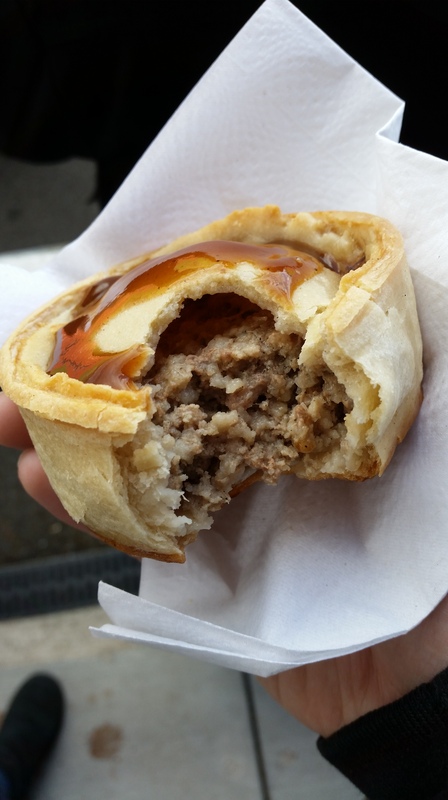 This entry was posted in Football Pies, Junior Pies, Non League Pies, Sporting Pies, The Life of Pie and tagged brown sauce, cambuslang, Football, Gravy, irvine, Juniors, meat filled pastries, mince, pastry, rangers, victoria.